As promised in my holiday blog posting, I return to a recounting of highlights from my summer travels. 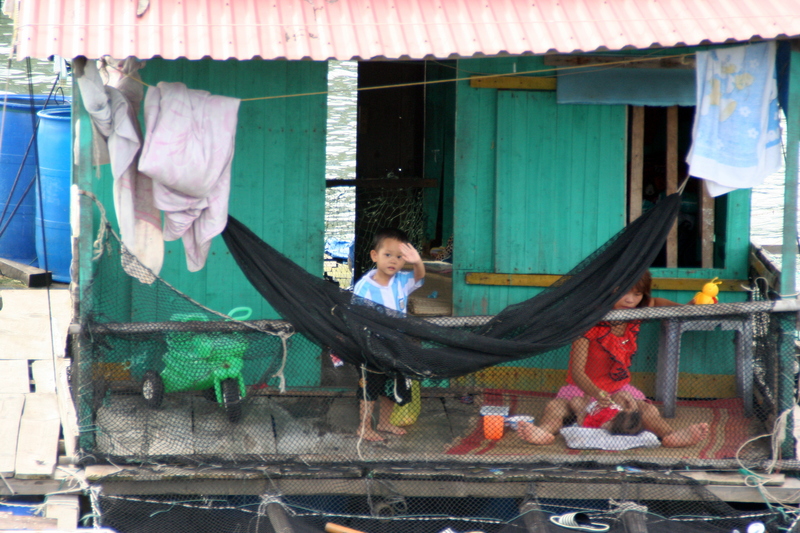 Sitting with my tablet on a frigid January Monday in Minnesota, it takes effort to recall the incredible heat of southeast Asia. In Vietnam in July, one showers and five minutes later is drenched in sweat once again. Unless located directly under a fan or in air conditioning, one sweats just sitting still. Imagine being a tourist and walking around to take in the attractions. Towards the end of the trip, I had an umbrella in one hand to shield me from the sun and a fan in the other to help evaporate my perspiration. This tale is from early in the trip, however, before I had learned that cooling technique. 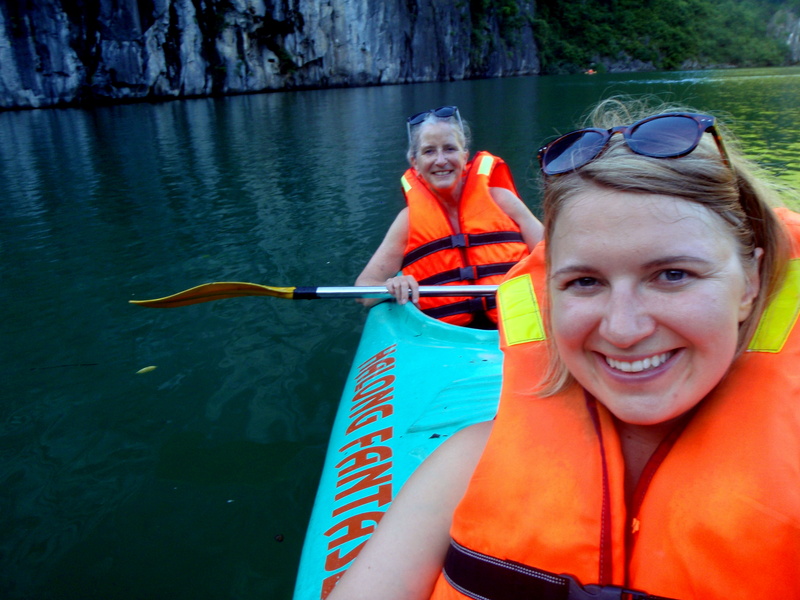 Bryn and I had arranged that after visiting Sapa, we would return to Hanoi only long enough to join another excursion: this time to Ha Long Bay. 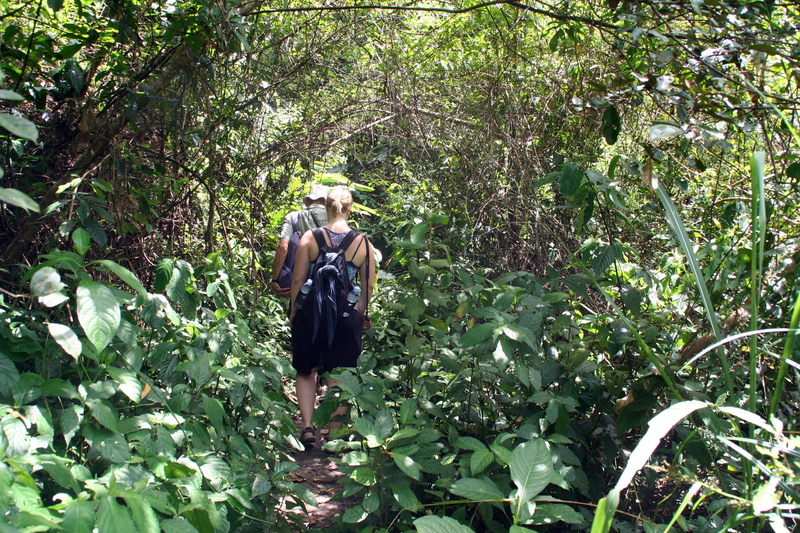 As an aside, we used Vega Travel for both of our excursions and found them helpful and fairly priced. The Vega Travel office is located in Hanoi’s old quarter and conveniently has a room where you can leave luggage and a place to shower and change clothes (although you will just be sweaty again in five minutes). 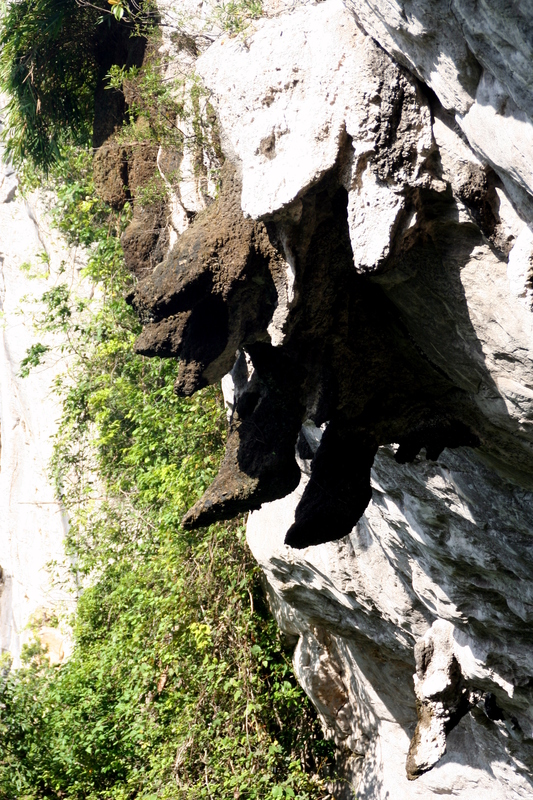 As with the Sapa excursion, we opted for the longer version: two nights and three days. 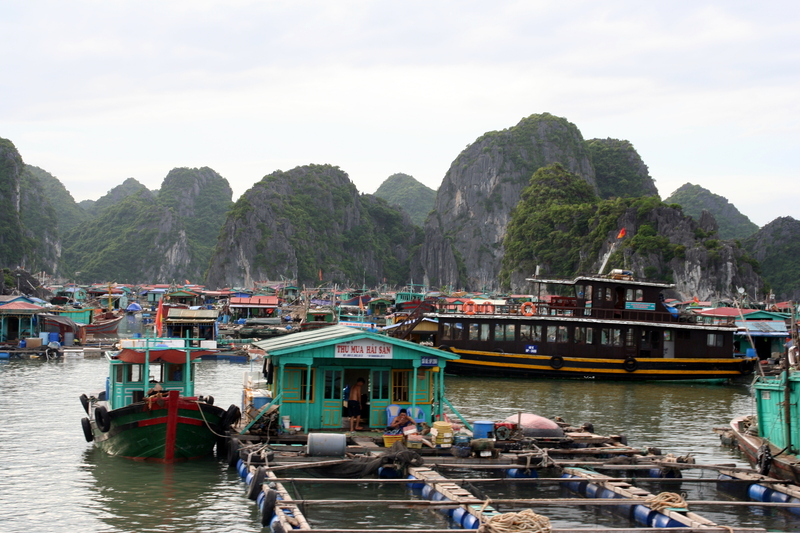 Arriving back from Sapa in the early morning, we caught a cab to Vega Travel where we clambered into a minivan along with other sleepy tourists and rode three hours to Ha Long Bay. 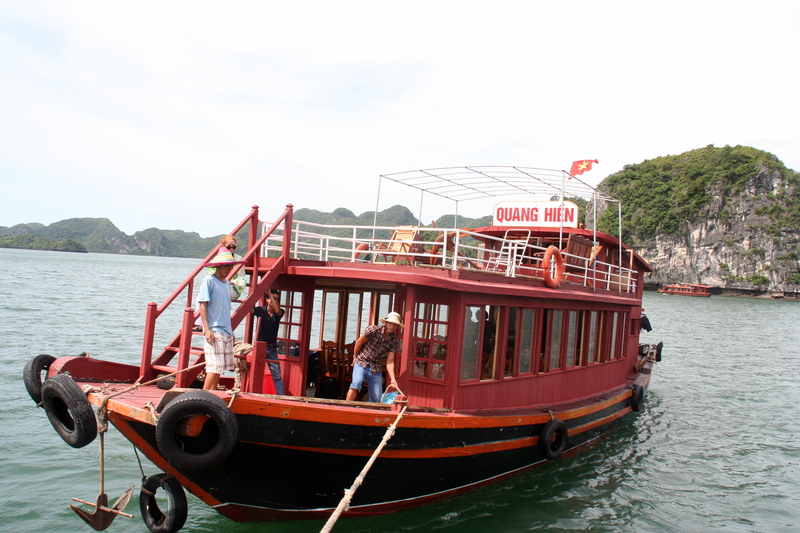 There we boarded our first boat. 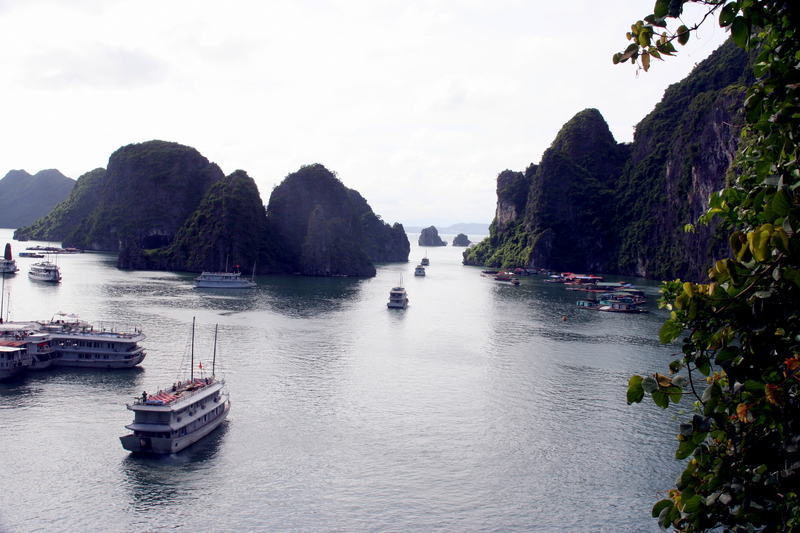 Ha Long Bay is a UNESCO world heritage site for good reason. 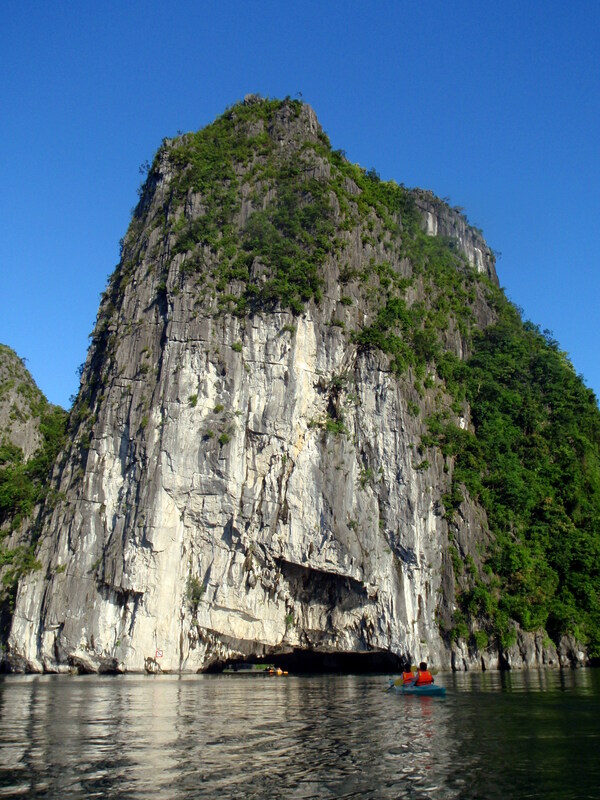 The bay includes about 2,000 islets that rise spectacularly from the water. 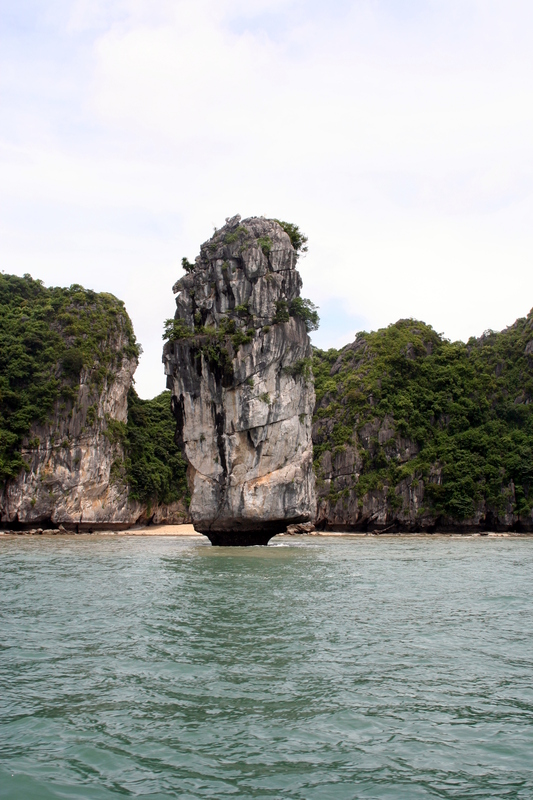 We stopped at one of the larger islets to visit Amazing Cave which had interesting rock formations. The ones pictured below looked to me like legs dangling down from the entrance. 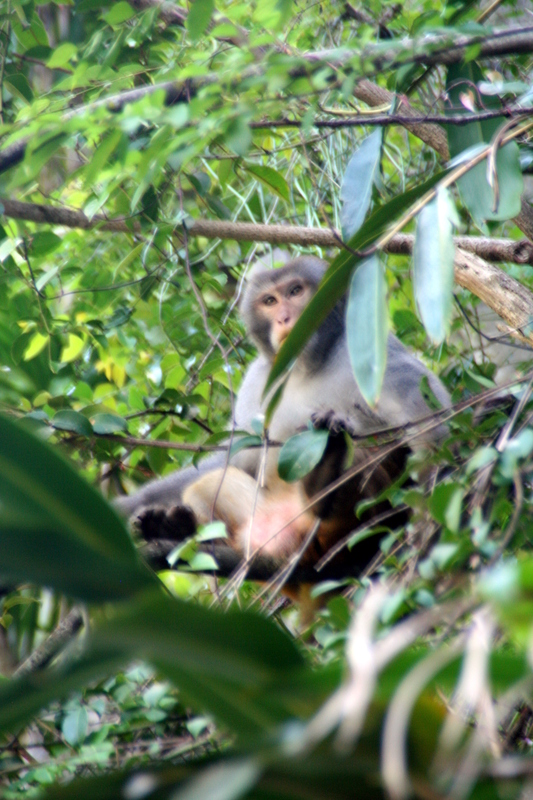 On our way back to our boat, we spotted a monkey, who was also keenly aware of us. 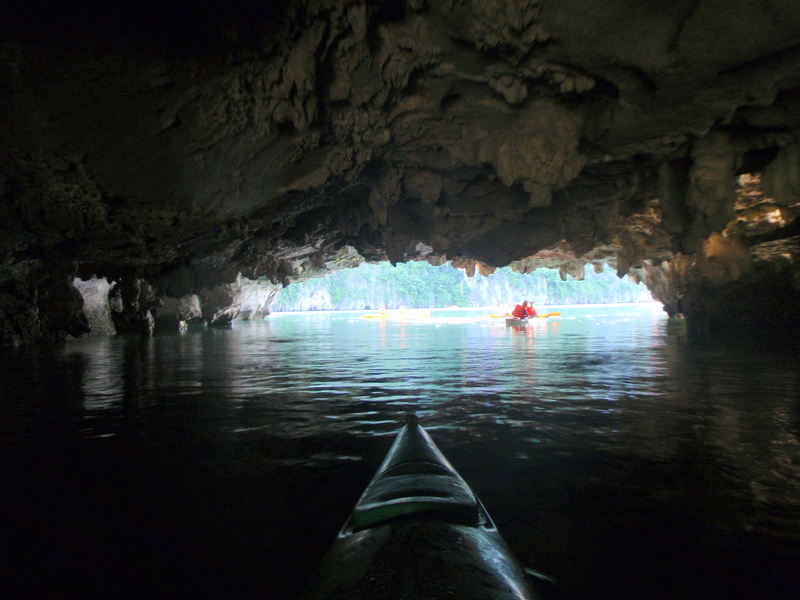 We were afforded some time in the afternoon to kayak, which enabled us to examine some of the islets a bit more closely. It was great fun and being on the water provided some relief from the heat. 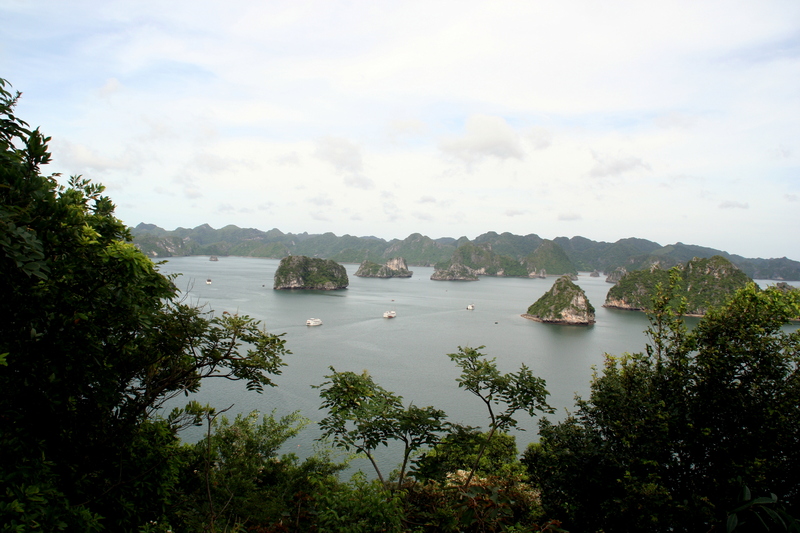 After a night on the boat, we motored to Tip Top islet and hiked up for an incredible view. 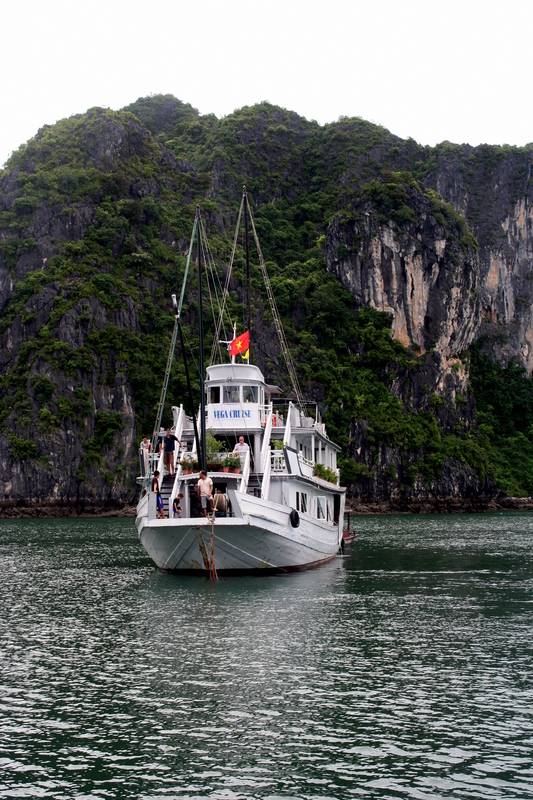 After Tip Top, four of us off-loaded onto a smaller vessel, which took us farther into the bay. 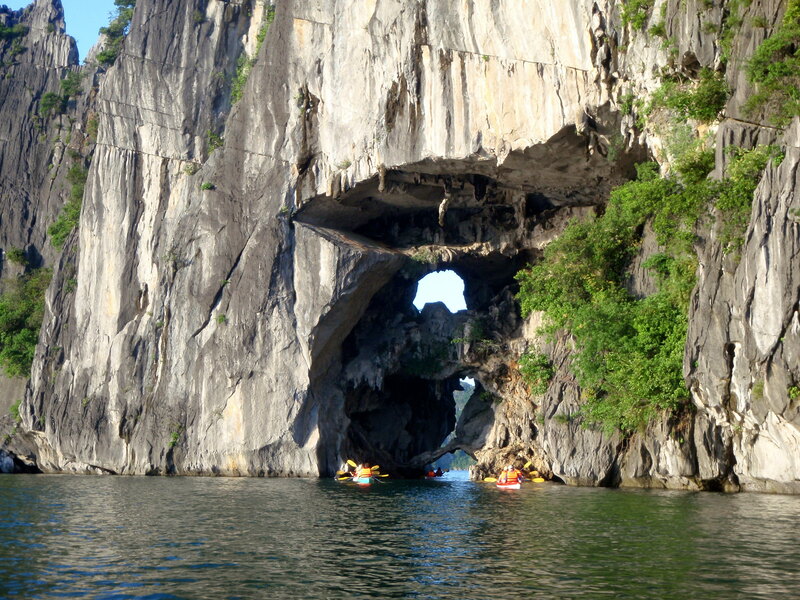 Along the way, we admired more karst islets and passed by several floating villages. 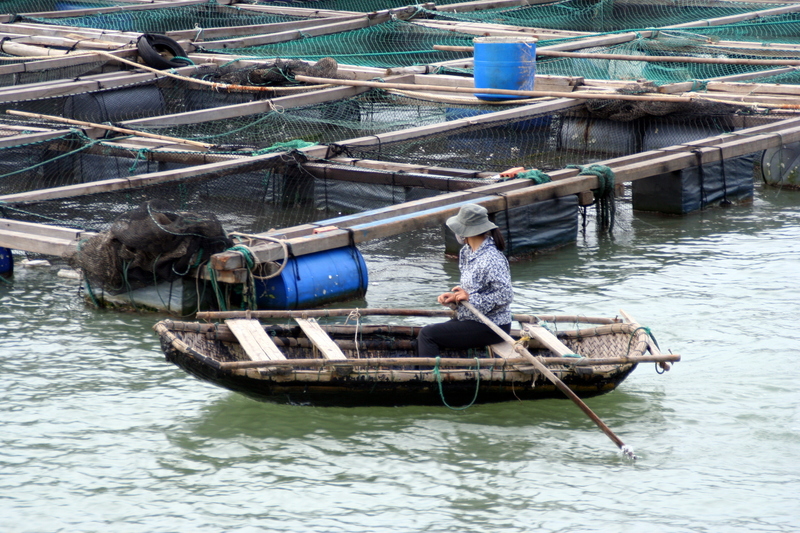 People spend their whole lives on the water with regular commerce and activity apparent. 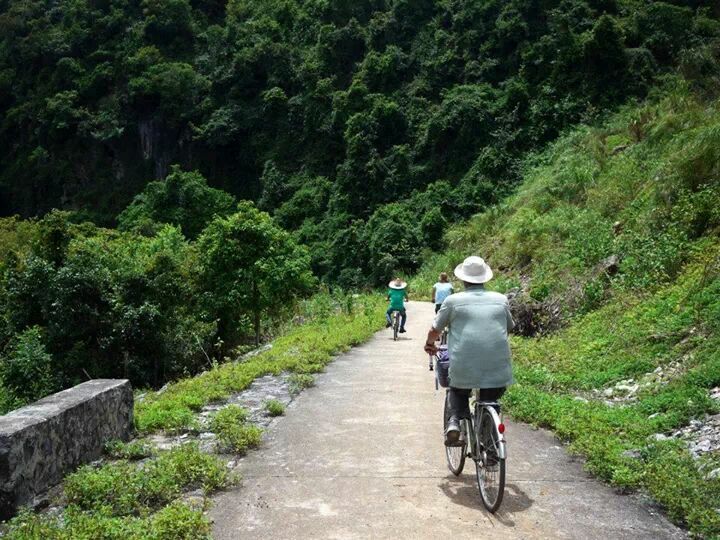 We stopped at Cat Ba Island and rode bikes into a national park. 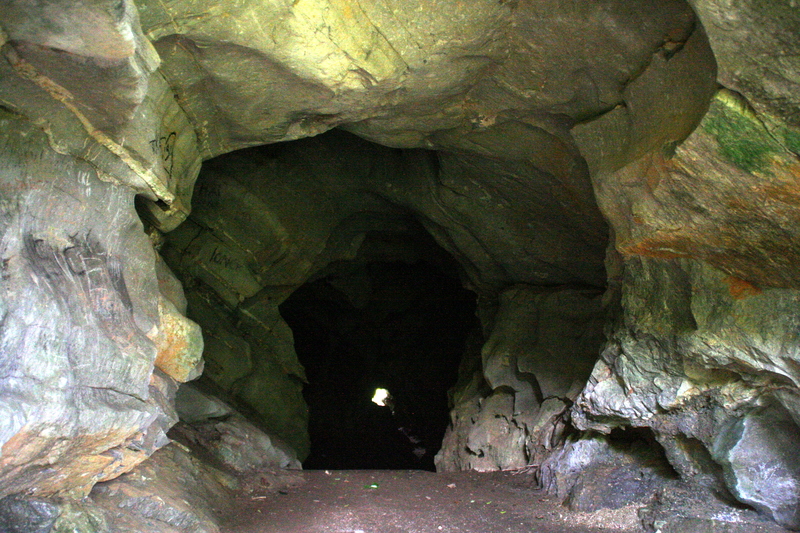 Then we hiked for a bit and visited a cave that was used for shelter during the “American War”. 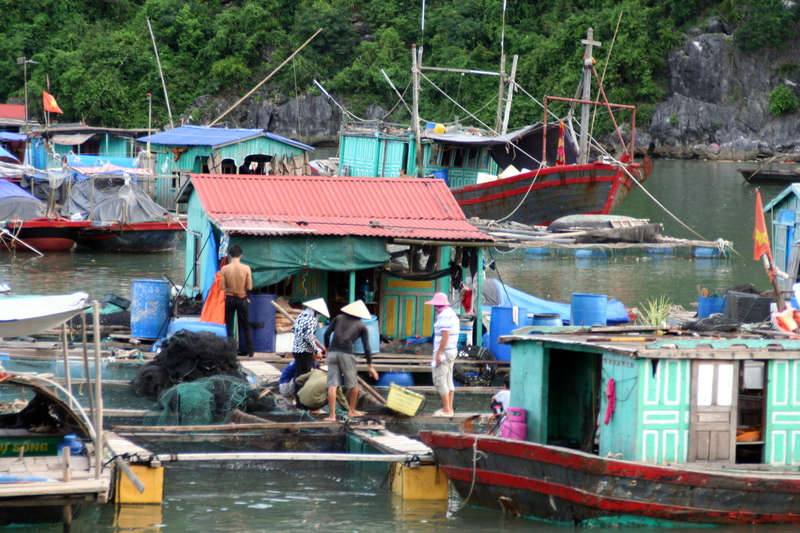 After a chance for more kayaking and a swim (I declined because the water must be really dirty with all those floating villages), we spent the night on Cat Ba Island, which appears to be a popular destination spot for upper class Vietnamese families. 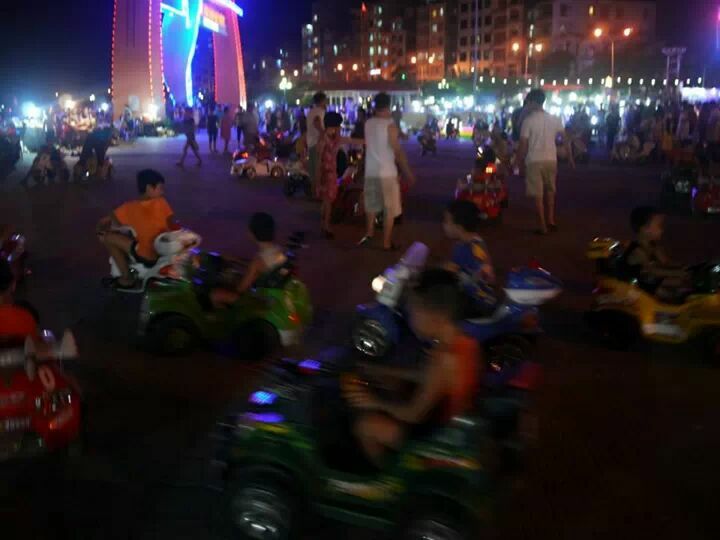 Bryn took this photo of kids going wild in bumper cars on the main city plaza. It was quite humorous. 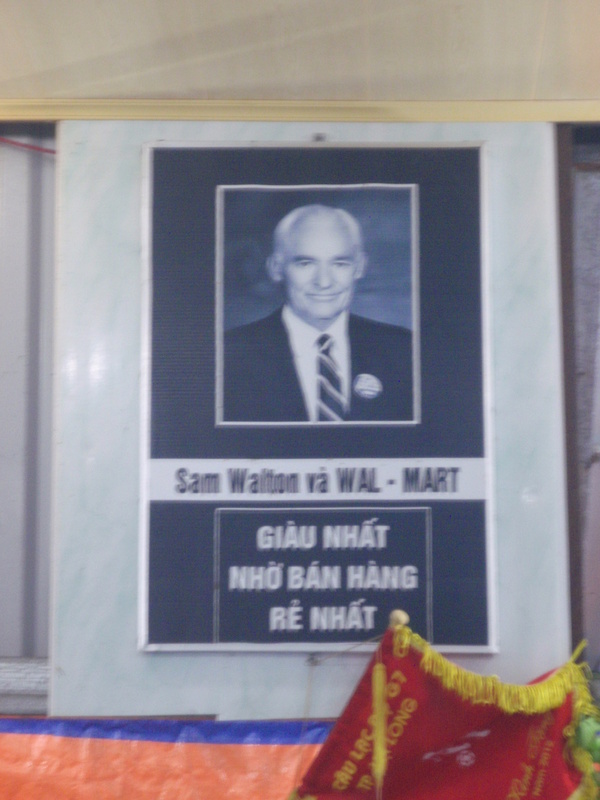 It was in a Cat Ba Island restaurant where we saw this strange tribute to Sam Walton of Walmart fortune. Google translate comes up with:”As sales richest BEST”. 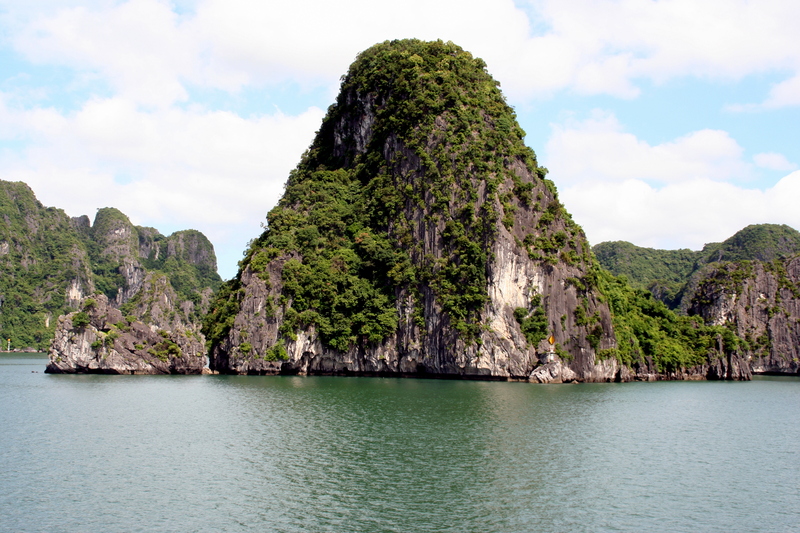 The next day, we were ferried back through Ha Long Bay, past karst islets and floating villages. 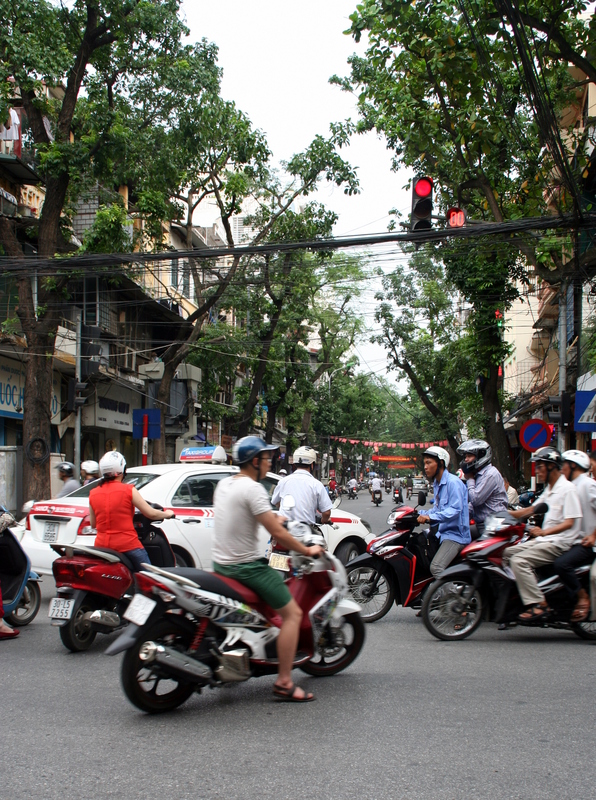 A three hour minivan ride back to Hanoi concluded our adventure and we were once again surrounded by a sea of scooters. Your blog post was a breath of fresh, warm air on a day of -40 degrees. 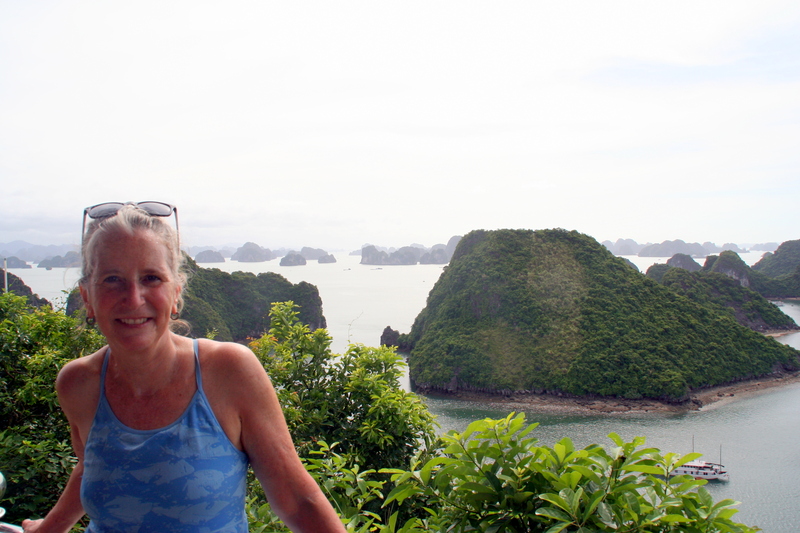 What an adventure — love those islets!